The Newport glider is classic and timeless. 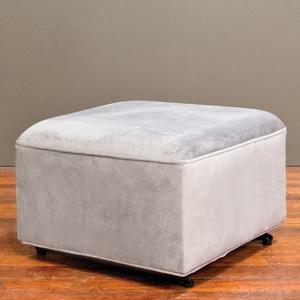 The soft, velvet fabric in steel grey keeps this glider neutral in color, and makes it perfect for any room in the house. The high seat back and plush velvet allows for resting your head in ease. The glider swivels, glides and rocks for maximum comfort. The poly-filled cushion back and seat creates a medium soft feel for extra support and comfort. Available in the following finishes: sand, steel. Bratt Decor newport glider - steel The Newport glider is classic and timeless. 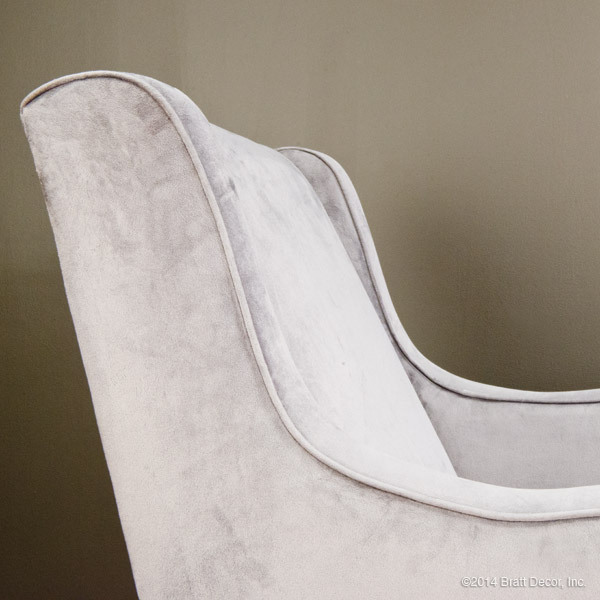 The soft, velvet fabric in steel grey keeps this glider neutral in color, and makes it perfect for any room in the house.